The 5 Series is inspired by a line of World War II camouflage ships called RazzleDazzle, the idea was to literally astound and confuse the enemy on the battlefield. We have taken the essence of the Razzle Dazzle ships and applied the principles of Osaka to create this exquisite stick. We hope it will astound your opponents as well, with its high quality metallic paintand incredibly detailed finishing. The 5 Series proudly represent everything Osaka stands for: Premium quality materials, Japanese styling and excellent design. 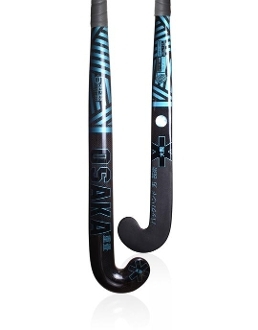 Both 5 Series sticks are built mainly with a minimum of 19 layers of 3K Japanese Carbon Fibre, laid down in alternating orientations for the optimal balance of stiffness and unique Osaka feel. This combination also allows for a unique HYPERLIGHT stickweight.